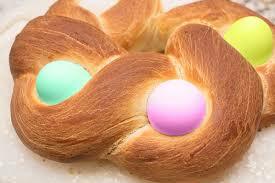 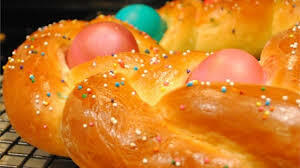 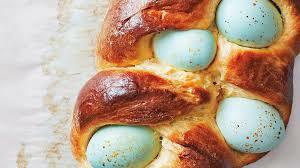 Easter Bread using colored hard boiled eggs is a tradition in Italy. 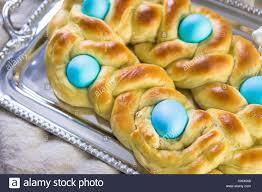 The bread is supposed to represent the resurrection of Jesus. 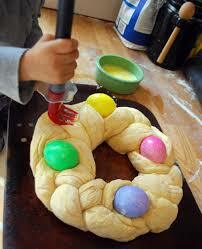 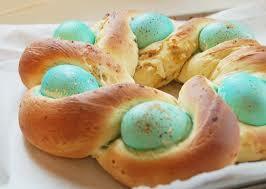 Think how excited your kids or grandchildren will be when they see the eggs they dyed in the Easter Bread.